With the first phase of voting in the 2019 Lok Sabha elections less than a week away, media commentators appear to have developed a consensus around three factors. First, Prime Minister Narendra Modi is by far the most popular leader in the country today. Second, despite Modi's popularity, the Bharatiya Janata Party is unlikely to repeat its 2014 performance. It may emerge as the single-largest party by a wide margin, but crossing the majority mark on its own would be a miraculous achievement. And third, Rahul Gandhi and the Congress party seem to have lost the momentum generated in the aftermath of the party's victory in the December 2018 Assembly elections. The second wave of the National Trust Survey conducted by Firstpost-IPSOS, which polled more than 31,000 voters from 2 to 22 March, gives us useful data with which to test this consensus. 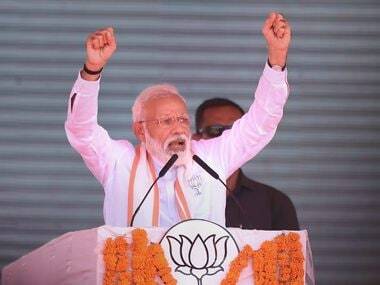 The survey points to a particularly interesting feature about the 2019 campaign: It is Modi who seems to be contesting the election on behalf of the BJP, with the party itself playing second fiddle to the prime minister's positive perception among voters. The prime minister manages to transcend geographical and social divides whereas the party's popularity is constrained by these divisions. In comparison to the previous round of the National Trust Survey conducted in November-January 2018, preference for Modi as the next Prime Minister of India has increased by 10 percentage points. 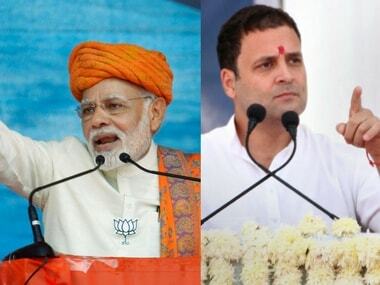 Modi, who enjoyed approval rating (52.8 percent) levels twice those of Rahul's (26.9 percent) has now doubled the lead to four times, 63 percent against 16 percent. The perception around Modi’s performance as prime minister has also gone up in similar proportions. More interestingly for the BJP, the prime minister’s approval rating in Odisha and West Bengal, although still below his national average, is significantly high. It is possible that a concerted campaign by Modi in these two states may bring rich dividends for the party. The trust survey also highlights the emerging faultlines as it shows that in many parts of North East India, despite the BJP’s successful inroads in these states, the prime minister's rating remains far below the average. In contrast, the approval rating for Rahul has declined considerably in the past few months. In fact, respondents are more likely to find Modi as warm and favourable over Rahul. Not only has the gap in the popularity levels of the two leaders further widened, but Rahul's public perception remains poor. Only a small proportion of respondents think that he has shown great maturity in understanding India’s problems. Sadly for the Congress party then, Rahul's leadership is unable to galvanise that sizeable section of Indian society which can challenge the BJP and its allies in reaching the majority mark. Before we delve deeper into the reasons behind the huge popularity of Modi among India's electorate, it is important to understand the context. Modi, even during the 2014 election, was immensely popular, and incumbent leaders generally enjoy greater favourability at the time of elections, unless there is huge public anger against their government. An incumbent's leadership rating gets further accentuated when the Opposition does not have a clear prime ministerial preference. Moreover, incumbents in general, and right-wing incumbents, in particular, are likely to get a bump amidst a national security crisis. The Pulwama tragedy and India's response by conducting airstrikes deep in Pakistan have further strengthened Modi's image as a decisive and strong leader. The survey was conducted a few days after India’s airstrikes when the prime minister's popularity must have peaked. This claim is further buttressed by the survey data that shows awareness regarding the issue is substantially high, and there is strong approval of the government's action. Finally, one also needs to be careful in interpreting exact numbers, as the survey design, question syntax, and pre-ordered categories may result in different estimates on the same issue. For example, if a survey question asks who would you like as the next prime minister between Modi and Rahul, it is likely that more responses would converge in favour of Modi than in a question that asks about prime ministerial preference in an open-ended manner. Why has the BJP chosen to play second fiddle to the prime minister's popularity in the run-up to 2019? The National Trust Survey confirms something that many have alluded to: Public faith in Modi is primarily built on abstract notions, not concrete issues. In this scenario, the Congress must avoid a direct leadership battle vis-à-vis Modi and make efforts to divert the election discourse to economic concerns of Indian voters. The promise of Rs 72,000 per annum to 20 percent of India's poorest may be a well-intended scheme — and may also undercut the BJP gains from Rs 6,000 to farmers. But the key difference is that somehow Modi manages to weave his policies into a language of empowering Indians while Rahul falls in the trap of patronising promises. The findings from the survey make the electoral logic behind the BJP’s campaign plank — Modi hai to mumkin hai (Everything is possible with Modi) — is very evident. 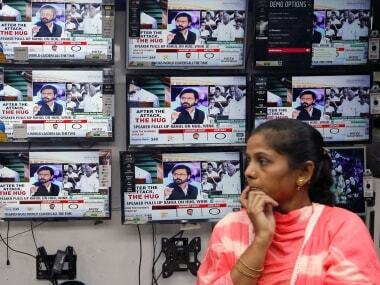 Modi is more popular than the party, and he alone can ensure its return to power. 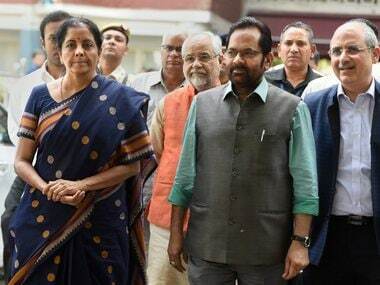 In the post-Pulwama scenario, the BJP has focused on national security issues that keep its Hindutva base energised and create the possibility of adding fence-sitters. 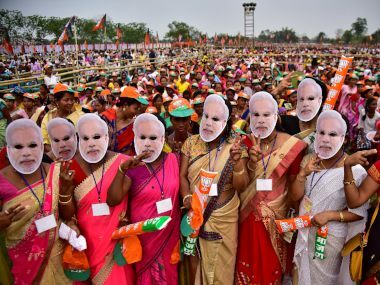 If the BJP manages to cash in on Modi's popularity, it may have a home run even in states like Uttar Pradesh where a strong coalition of Opposition parties is challenging it. However, such a campaign plank with over-reliance on a charismatic leader has its downside. It may bring the BJP closer to victory in 2019, but is likely to change the social fabric of Indian democracy as well as the BJP's organisational capabilities in the future.